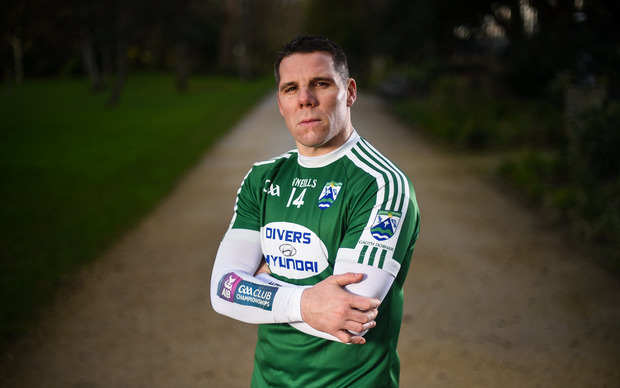 KEVIN Cassidy has described the tragic death of Gaoth Dobhair team mate Micheál Roarty as a 'sledgehammer' blow to the community. Roarty (24) was one of the four occupants of a vehicle involved in a crash on a local road near Magheraroarty in Gort an Choirce on the night of Sunday, January 27th. John Harley and Shaun Harkin from Falcarragh and Gort an Choirce native Daniel Scott were also killed in the accident. Roarty had been part of Gaoth Dobhair’s preparations for next weekend’s AIB All-Ireland club semi-final with Corofin after the Gaeltacht club claimed an Ulster title last December for the first time in their history. "I just remember sitting at home on Sunday evening and word filtered through about the accident," Cassidy recalled. "Like anything, you’re hoping you don’t know who’s involved. "But then we got Micheál’s name. You hear these tragedies in other communities and you say 'that’s terrible'. But until it knocks on your own door, you don’t really understand it as much. "For the family, more than anything. He was very close to the boys on our team. But your thoughts go out to the mother and the father and his brother and sister who are left. "We can go back to our training and back to our games and stuff. But it’s very tough on them. Obviously last week, Corofin was the last thing on our mind." Cassidy described Roarty as 'a character', adding: "He was always one keeping the craic going in the dressing-room." "You can’t turn around and start saying ‘we’re going to win this for Michael.’ That’s not the right thing to do for the family or for our club," he stressed. "We’ve a job to do for our club and our parish. We’re not saying we’re going to win the game for him and we’re not saying we’re going to win the All-Ireland for him. “It’s not about going on a crusade. It’s about turning up and doing the we can as a team." "Our parish was full of joy and looking forward to the game and everyone talking about the game," Cassidy added. "And then, to be hit with a sledgehammer like that, it puts everything into perspective. "It’s a difficult one. It does put things in perspective but in a week’s time, we have to go out and play Corofin. So that’s what we’ve had to juggle as a squad and as a team."